MILLSBORO, Del. -- A Delaware man has been charged with his 8th DUI offense. The incident occurred around 11:54 p.m. Saturday. 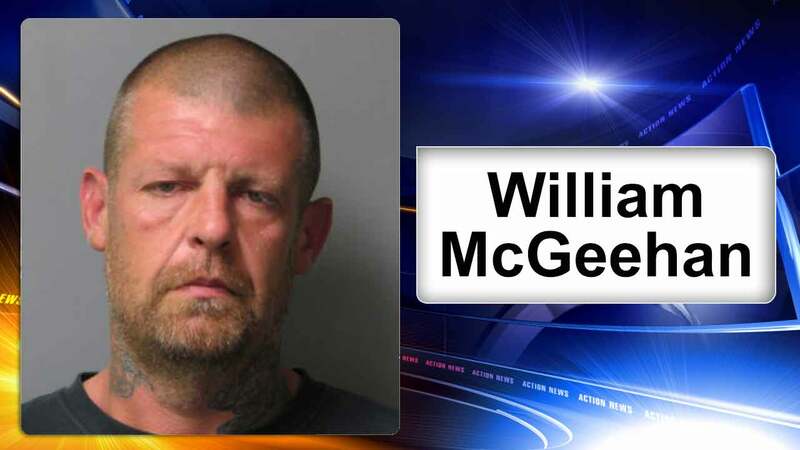 Police say the suspect, 42-year-old William McGeehan of Laurel, was behind the wheel of a 2003 Ford Ranger on John J. Williams Highway when he drifted across the center lane and struck a GMC Sierra head-on. McGeehan was transported to the Beebe Medical Center with serious, but nonlife-threatening injuries. The driver of the Sierra was treated for minor injuries. Police say McGeehan exhibited signs of being under the influence of drugs and/or alcohol. A DUI investigation ensued and a computer check revealed McGeehan had seven previous DUI convictions dating back to 1993. McGeehan has been charged with felony DUI, second-degree vehicular assault, driving under the influence negligence causes, failure to have insurance in possession, and failed to remain in single lane. He was committed to the custody of Sussex Correctional Institution on $12,101 cash bond.